A multi-tasking brush featuring two versatile brush heads that can be used for an array of products including powder, blush, bronzer and highlighter. 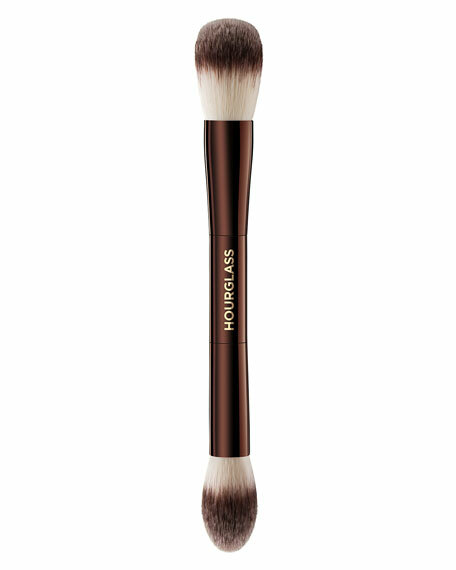 This double-ended brush can be used with powder, cream and liquid formulas for the most flawless finish. Perfectly-sized to be used with the Ambient® Lighting Edit (sold separately). The rounded end is ideally shaped for applying finishing powder and adding bronzer to the temples and hollows of cheeks, while the tapered side is shaped to flawlessly apply blush and highlighter. Features PETA-approved, high-grade, ultra-soft Taklon bristles. Perfectly sized to work with all Ambient® Lighting Palettes and travel-sized compacts.